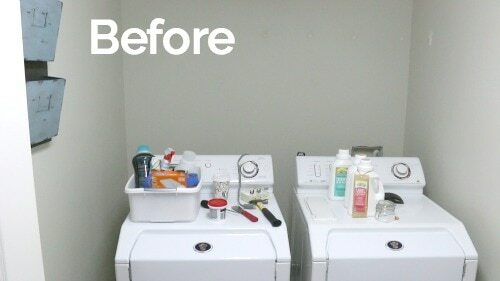 You are here: Home / diy / DIY Laundry Room Makeover on a Budget! Let me just start by saying how refreshing it is to have clean, organized and functional spaces to do our everyday tasks. 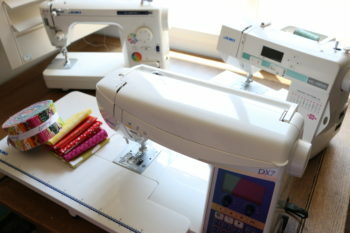 I have been blown away by how much redoing my laundry room and family command center would impact our daily life! 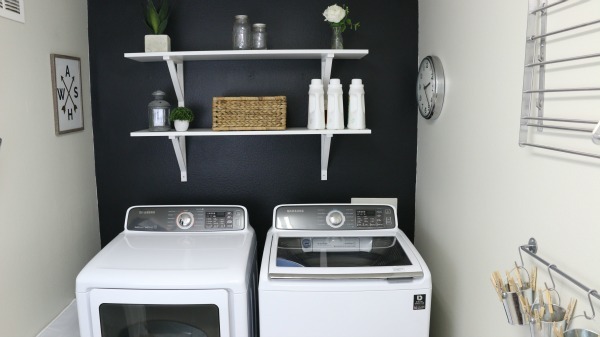 I was saving up our pennies to purchase a new washer and dryer and I knew that the laundry room needed a little love, so I figured that was a good time to get things spruced up. Besides the appliance purchase, I did it all for under $200. 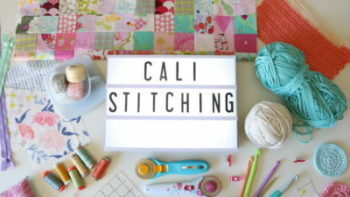 Of course, I made a video documenting the process, but here are some photos and details – I will link the 2 videos down below so you can see how it all came together! 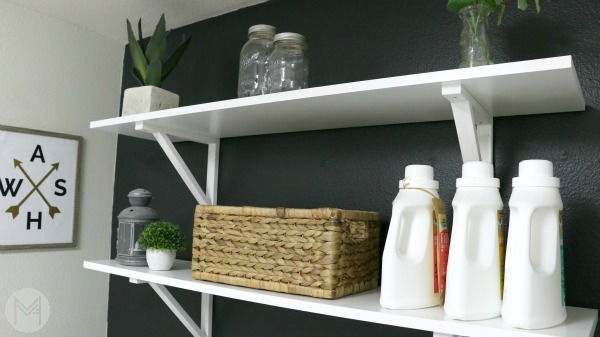 Yep, I painted a wall black. Always wanted to do that. 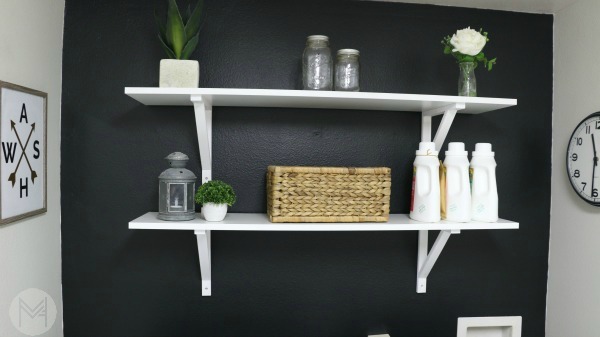 Love me some Ikea shelves, homegoods and dollar store accessories and my new favorite all natural and organic laundry soap, My Green Fills. 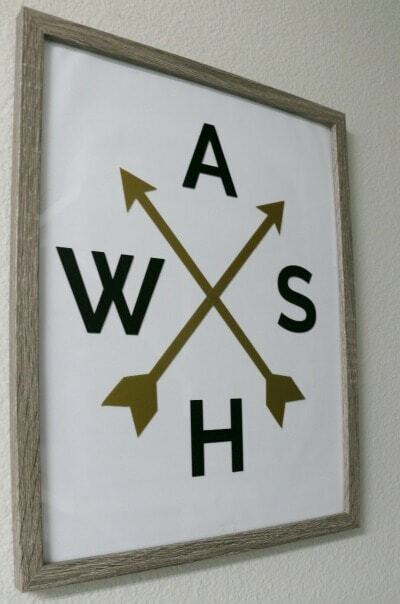 I recently got a Silhouette which is how I made this wall art as inspired by a pieces from homegoods. This cost me $5. Homegoods one was $17. 2 of my must-have additions to the new laundry room! 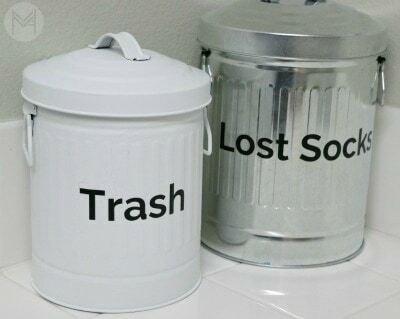 And, by the way, the lost socks bin is full – how does that happen?! Another must-have new addition was a chore/task system for the kids. 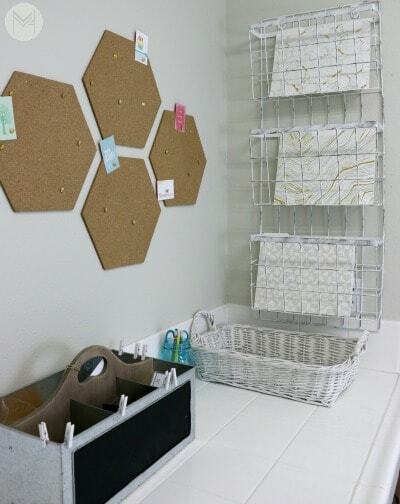 Target dollar bin buckets, dollar store clothespins, $3 ikea rod, and a few stickers! Each kid has a bucket with their weekly and daily tasks. 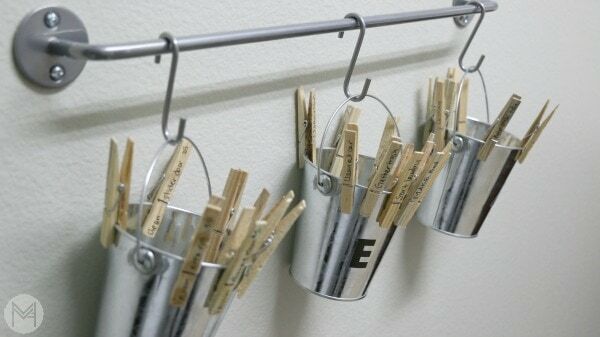 When they complete the task, they can put the clothespin in the bucket! Easy to add/remove tasks or move them from one kid to the other. The 3rd bucket is for chores that can earn extra money. If they have completed their daily tasks, did well in school and Mom and Dad say it’s ok, they can earn up to $2 per week doing things like vacuuming the area rug, wiping down bathroom sinks and windexing the slider door! On the opposite wall of the washer and dryer is this counter top with cabinets underneath. This is where I fold the laundry and where the all important Family Command Center lives! I reorganized it and tried to really think about how I would use it best. The video below goes into more details, but here is the updated look. The cork boards were there before, but these additional storage units were not. So, how much money did I actually spend?? Here is the breakdown! *I did save up and purchase a new washer and dryer, but most people won’t have to do that, so I didn’t include that in the cost 😉 If you would like me to review the washer and dryer, let me know. I have had a few requests, but won’t do it unless more people would like that ;). What do you think of my laundry room? Here are the videos where I detail more of my process 😉 Happy laundry room organizing! Hi Melanie!!! 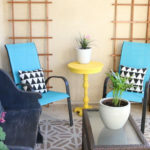 First, I want to say I just love your blog!!!! I came across your YouTube channel about 8 months ago when I started to crochet. I’ve been following you ever since. I recently purchased the mygreenfills because you spoke so highly of it and I can say so far I love it as well. I do wish it had a little more of a scent to it for the bed sheets and towels. Anyways, my question is…. What do you Use the brightener for ( maybe a stupid question but can’t find any info on it). I know it says color safe does that mean it just gets added to a regular load? Or is it like a bleach? Lol I’m probably looking into it too much but I tried to call the company and was unable to get an answer. Thanks so much. 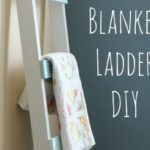 Congratulation – your laundry room is perfect! My flat is too high from floor to ceiling (4,5 m! ), because I’m living in a very old house in Budapest and to paint it with my own hand is impossible. But I like very much your black wall idea! When last years was a great wallpainting, my vestibule was painted green! It’s very beautiful with all doors are white i it.